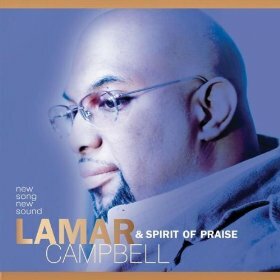 Founder of Lamar Campbell & Spirit of Praise, since their inception in 1995 the group has recorded four stellar CDs and seen their name value rise via collaborations with CeCe Winans, soul music icon Aaron Neville and even southern gospel legend Bill Gaither. Born and raised in Indianapolis, Indiana, Lamar was active in the church and musically gifted from an early age. He began playing the piano in his home church from the age of eight, and by age fifteen, he became the music director of another church. After graduating from high school he felt a call to music and studied music at the Jordan Music College at Butler University in Indianapolis. 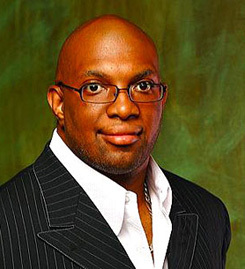 Shortly after, in the late ‘80s, he founded his first group known then simply as Lamar Campbell & Praise. That ensemble released a major-label album two years later that performed moderately well nationally, yielding a major hit titled, “This Debt of Love I Owe,” and made the act a significant name in Indianapolis and the surrounding areas. 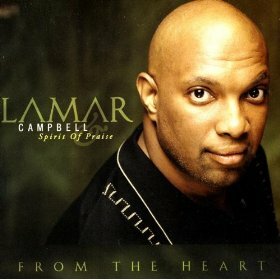 Lamar chose to disband that group after three years in 1992 when he felt attention had shifted toward himself and praise as ‘personalities’, and too far away from more God and ministry-centered focus, leading Lamar to form Lamar Campbell & Spirit of Praise in 1995. They made their debut on Tyscot Records in 1995 with Ready. 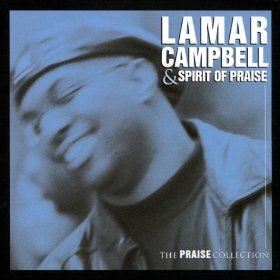 Three years later, they moved to EMI Gospel, where they released Lamar Campbell & Spirit of Praise. I Need Your Spirit followed in mid-1999, and When I Think About You was released a year later. From the Heart was released in 2005. Staying true to form, this album is powerful with praise and worship. Song after song will take you on a spiritual journey of praise and thanksgiving ushering you into the sweet presence of the Lord with an enthusiasm and anointing that’s more than just superior musical styling, and extraordinary vocal expression; it’s personal. Smooth choir blends, outstanding vertical lyrics, and a fervent desire to worship make this latest project his most powerful release yet; as well as a much wanted addition to any gospel lovers’ collection. His latest release, New Song, New sound - Live, was released in 2007.